Got an great pool that you would love to show off? 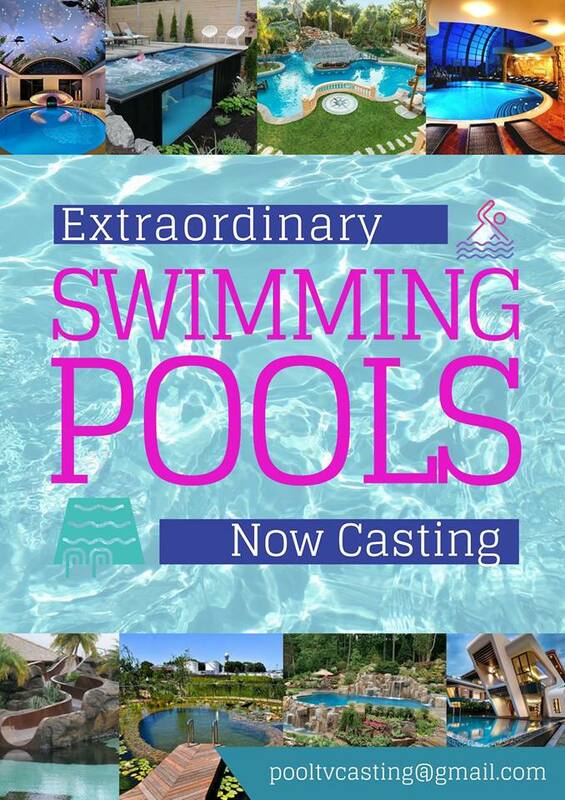 Acclaimed television production company in conjunction with a major television network is now seeking extravagant, unique and one-of-a-kind residential swimming pools to be featured in an-all new television project. This is a terrific opportunity to take part in a fun television project as well as to commemorate and celebrate your stunning swimming space! Pool owners will be compensated for their time and effort. Do you have the dream party pool? The pool with all the bells and whistles perfect for playing and for hosting unforgettable parties? One with multiple slides, built in entertainment, sunbathing beach, a swim-up bar, a built-in grotto and TV screens? OR do you have an incredibly unique or non-traditional pool? A pool made from unexpected objects or materials such as shipping containers, glass, reclaimed, up-cycled or found objects? If you have an extremely unique, wow-worthy pool that you think would be perfect for our project we want to hear from you! To submit, please email: pooltvcasting@gmail.com please include your name and contact information (phone and email) as well as several recent photos of the pool. Note: All pools MUST be residential swimming pools. Producers are casting nationwide.